Get a load of this super simple DIY lavender scrub & mask that does two in one: can be used as a exfoliant as well as a scrub! We like making a bigger batch to store and use whenever! This super simple recipes requires all natural ingredients that are actually good for your skin! But why lavender, you ask? Lavender is great for all skin types as it calms irritations, reduces inflammation, and corrects redness and blotchiness. 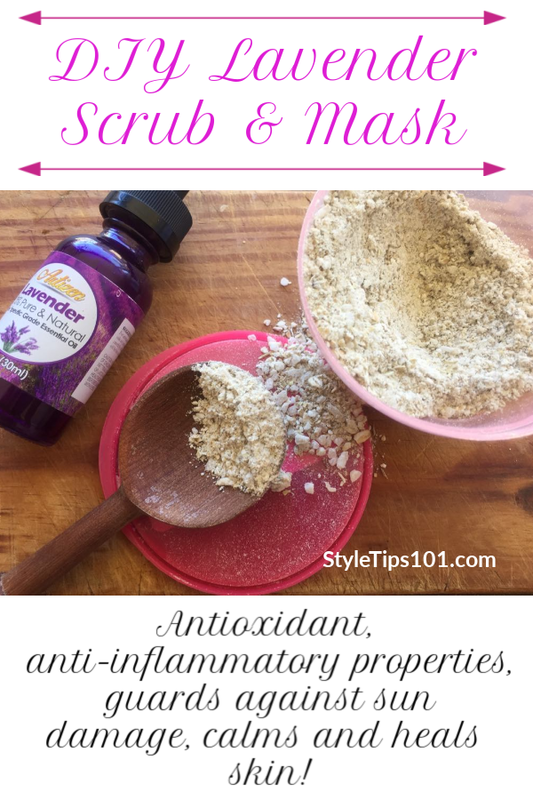 The other ingredients include rolled oats which are great for exfoliating, baking soda which is an amazing cleanser and whitener, sea salt, and lavender essential oil to soothe! 1/2 cup rolled oats, finely ground. 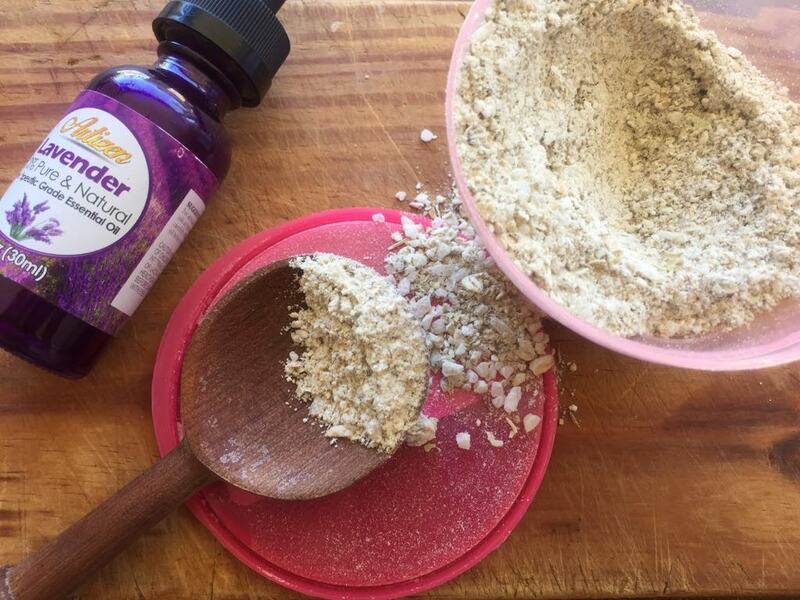 In a small bowl, combine the rolled oats, baking soda, sea salt, and dried lavender if using. Add 5-10 drops lavender essential oil and stir well. Store in a clean, airtight jar or container. Scrub: Mix 2 tsps of scrub with 1 1/2 tsps of water or honey. Gently scrub onto wet skin in slow, circular motions. Rinse with warm water. Mask: Mix 1 tbsp of scrub with about 1 tbsp liquid of your choice (water, honey, or apple cider vinegar – see below) until a thick paste forms. Smooth over cleansed skin and remove after 10-20 minutes. Use honey for dry and sensitive. Use apple cider vinegar for oily and acne prone skin. Water can be used on all skin types.